Those in Tam-Tam have also gone for days without the precious liquid. “The past three days have been hell,” Rodrigue Ngansop, Etoug-Ebe resident said, stating that it was the first time his family was faced with such difficulty since moving into the neighbourhood a year ago. The Cameroon Water Utilities Corporation, CAMWATER, is however aware of the inconveniences, but says construction work on some parts of the city, coupled with the insufficient quantity of water makes it difficult to manage demand. Construction works cause the displacement of some pipes, tampering with supply in some neighbourhoods. Information from the company reveals that work is almost completed at the Akomnyada Water Treatment Plant where additional 35,000 cubic metres per day is expected for the city. Sources say samples have been sent to the Centre Pasteur Yaounde where the quality of the water will be approved before imminent distribution to homes. 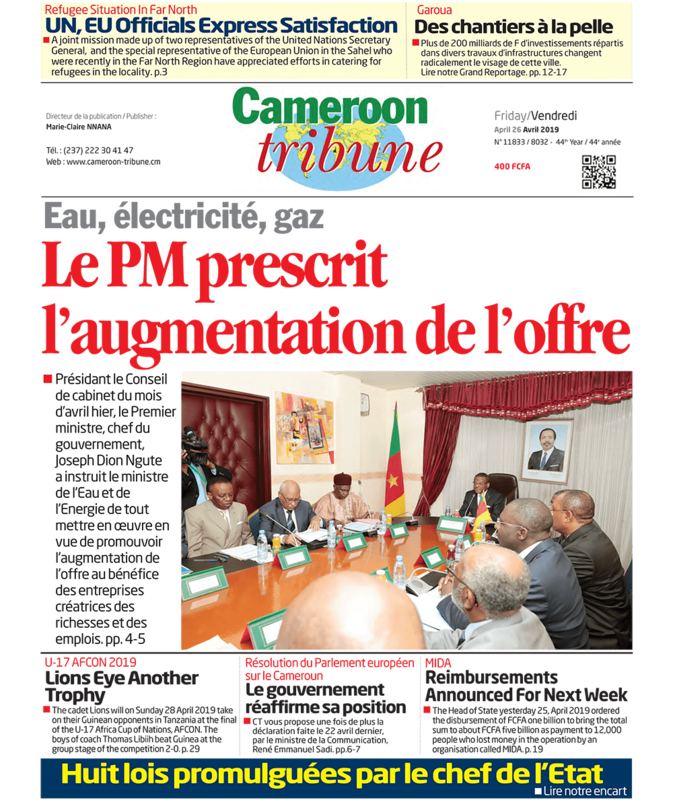 The Water Treatment Plant, Cameroon Tribune learnt, was undergoing some technical trials, with the complex part of the work already completed. The weeks ahead promises to be eventful, with sources saying the plant is poised to go fully operational, given the commitment of management. Yaounde dwellers have been urged to remain patient as government and its partners seek lasting solutions to the recurrent water supply problems hitting the city.